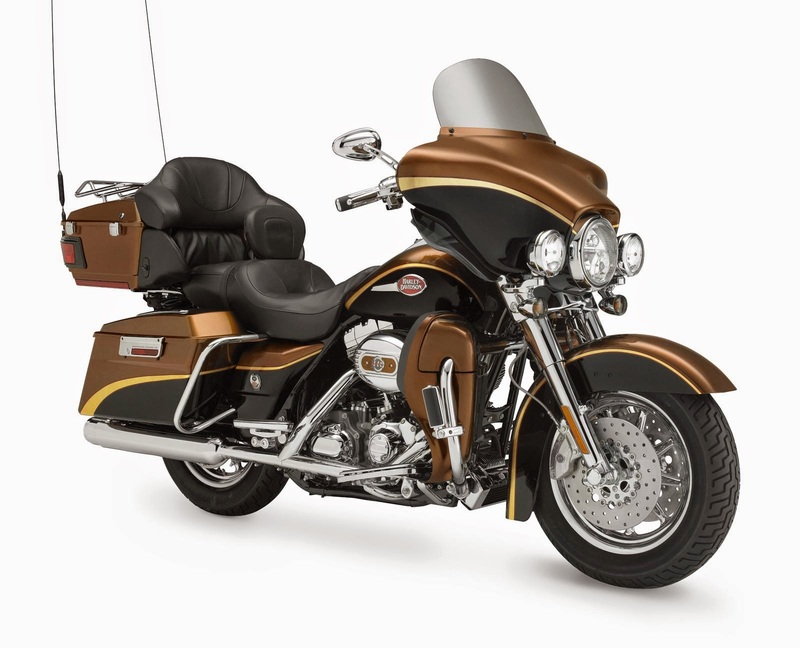 The 105th Anniversary serialized limited-edition model features exclusive color matched medallions, and badges. 1 Vehicles depicted may differ from vehicles manufactured and delivered. Specifications and prices listed may differ from specifications and prices of vehicles manufactured and delivered. All product descriptions (including depictions, specifications, dimensions, measurements, ratings and competitive comparisons) are based on available information at the time of publication. Although such descriptions are believed correct, errors and changes can occur and complete accuracy cannot be guaranteed. Harley-Davidson may make changes at any time to prices and specifications, and may change or discontinue models, without notice and without incurring any obligation. 3 Primary case oil fill is 32 oz. or as needed to fill to bottom of diaphragm. 4 Recommended 91 octane or higher fuel (R+M)/2. 5 Standard and optional fuel systems may vary by country and region. 6 U.S. and HDI markets, except Japan: Belt, 32/64 ratio. 7 Standard and optional wheels may vary by country and region. Standard 105TH Anniversary wheel for FLHTCU, FXDL, XL1200L, FLTR and FLHX models is Gloss Black Painted Cast Aluminum. 8 Values shown are nominal. Performance may vary by country and region. conditions, trip length, vehicle condition and vehicle configuration, and other conditions. Break-in mileage may vary. 10 North America security system includes immobilizer; outside North America the security system includes immobilizer and siren. 11 See motorcycle owner’s manual for complete details. 12 Availability of colors may vary from dealer to dealer, and is subject to change without notice.